UNITED STATES of America - It can now be reported that sources close to U.S. Senator Ron Wyden, Democrat of Oregon, that lifelong U.S. CIA asset, alleged President Barack Hussein Obama-Soetoro has activated a NSA (National Security Agency) domestic assassination team on U.S. soil that targets patriotic American citizens, whistleblowers, journalists and lawful state militia groups. Note: Treasonous U.S. Congressmen Peter King, Republican of New York (a disgrace to the University of Notre Dame), Israeli Mossad assets Nazi Jews Chuck Schumer, Democrat of New York, and Dianne Feinstein, Democrat of California, as well as Republican Congressman Mike Rogers of Michigan and Senator Lindsey Graham (extortion friendly), Republican of South Carolina, are in possession of the NSA Hit List. Both Rogers and Graham take their orders directly from neo-Nazi Israeli Prime Minister and 9/11 co-conspirator Benjamin Netanyahu. 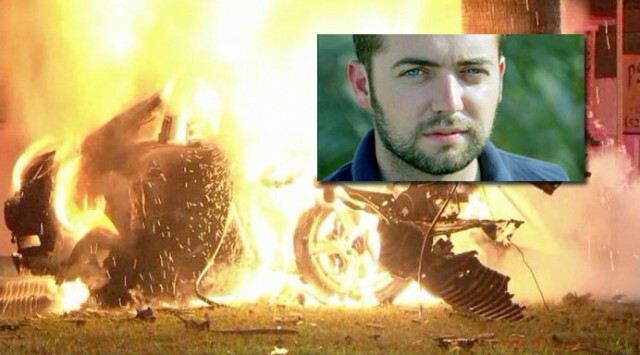 The recent domestic drone attack in West Hollywood, California that assassinated Benghazi whistleblower and award winning American journalist Michael Hastings was directly ordered by former U.S. Secretary of State and sociopath Hillary Rodham Clinton and treasonous NSA Director James Clapper. Hastings life did not last much longer. 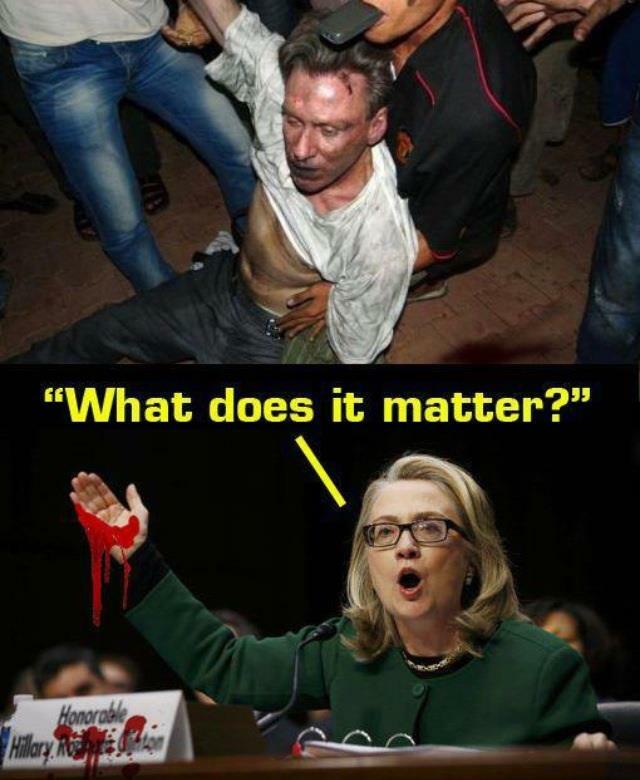 Twenty four hours after Hastings execution former Secretary of State Hillary Clinton left American soil to Canada. At this hour, U.S. Senator Ron Wyden, Democrat of Oregon, and U.S. Senator Rand Paul, Republican of Kentucky, have issued criminal referrals to the U.S. 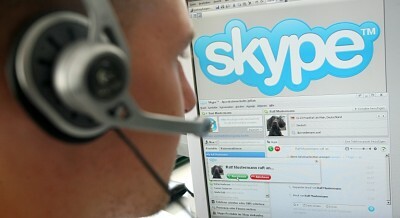 Inspector General and the U.S. Provost Marshal accusing the U.S. Department of Justice and the treasonous Nazi Paperclip NSA of conspiring since 2011 with the private phone company Skype to download the PIN numbers and applications of all Skype customers worldwide. This is called NSA "Project Chess". Accordingly, the PIN numbers of hundreds of thousands of American citizens are now in possession of the NSA, the CIA, the FBI, as well as British MI5 and MI6 and the Israeli Mossad. We can also divulge that U.S. cable networks CNN and FOX News share the phone numbers, emails and Twitter messages directed to them by their own viewers with, you guessed it, the treasonous Nazi Paperclip NSA. The NSA has also been active in creating stooge internet websites that masquerade as truth tellers but in reality engage in disinformation and subterfuge. Example: Rense.com and the Israeli Mossad funded Adamus Group and its website Veterans Today. The treasonous NSA also employees cyber actors that engage in internet and Twitter trafficking, including masquerading as alleged Al Qaeda terrorists that create alleged terrorist plots and False Flags that are then used as a justification for the continuation of the NSA Nazi Gestapo activity. Example: Alleged Boston bombing suspects aka the Tsarnaev brothers aka patsies and former FBI informants and DHS employees, who were also employed by the NSA to actively recruit Islamic Chechnyan terrorists who were then used by the U.S. State Department to assassinate Ambassador to Libya Christopher Stevens (Operation Whack-a-Mole). P.S. Absolute paranoia and fear is now overwhelming the corrupt U.S. intelligence agency infrastructure that has been exposed as a Nazi Paperclip Gestapo. 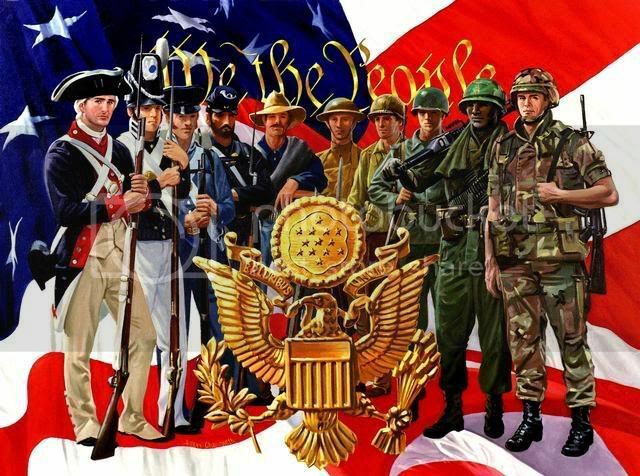 What is coming next is the revelations of the NSA crown jewels of HIGH treason that has been perpetrated against the U.S. Constitution, the American Republic and its citizens. 1. 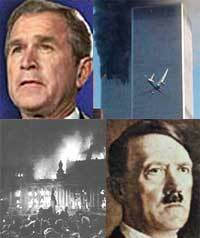 The absolute truth about the 9/11 black op Nazi Paperclip FALSE FLAG attack on the United States (Nazi German George W. BushFRAUD-Adolf Hitler like Reichstag Fire) that triggered this phony "war on terror" and dismantled the U.S. Constitution with the totally UN-Constitutional Bush Era Patriot Act (written prior to 9/11). Note: U.S. 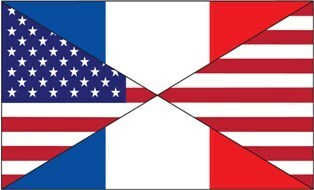 Senator Wyden's office is now in possession of the NSA command and control code that was intercepted by French Intelligence three days before 9/11. The command and control attack order, which originated from the old Soviet province of Georgia, stated "the time is now the match is hot". Five U.S. Military Flag Officers, as well as the Military Games Division of CBS News, are also in possession of the NSA codes tied to 9/11. 2. 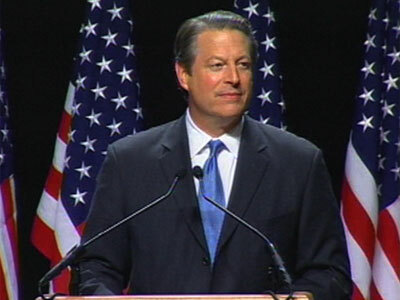 The NSA-scripted overthrow and theft of the year 2000 presidential election in which five (5) states: Missouri, New Hampshire, West Virginia, Florida and Tennessee were stolen from then Vice President, now year 2000 duly elected President Albert Gore Jr. allowing German Nazi George W. BushFRAUD to take office as president illegally. 3. The Nazi Paperclip Bush Crime Family plot (Operation Elm Street) aka the assassination of the 35th President of the United States, John F. Kennedy. P.P.S. As the United States descends into what is almost a certain American Revolution and Civil War, an imminent financial emergency beckons as JPMorgan's Global Bond Index Fund is now insolvent with the Bank of Israel and the U.S. Federal Reserve now becoming counter parties to the Bank of Japan. This is why interest rates have been going up for no reason. If that is not bad enough we can now divulge JPMorgan and Bank of America have exposed the entire U.S. banking system to financial decapitation by issuing leverage debt instruments (more derivatives) that represent insurance on a forthcoming Chinese debt crisis. Reference: One of the reasons Hong Kong and the Peoples Republic of China allowed NSA leaker Edward Snowden to fly to Moscow, Russia was that U.S. officials, including the NSA and the privately owned U.S. Federal Reserve, failed to respond to China on allegations that the NSA hacked into Chinese and Hong Kong banks reference the manipulation of the Japanese yen currency. 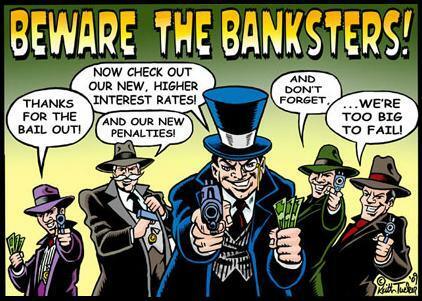 Now that a Chinese bank collapse is right around corner, both JPMorgan and Bank of America will have to pay off on the bets that they helped finance to the purchaser of these new derivatives leaving the bank deposits of every American citizen subject to a U.S. Federal Reserve TREASONOUS 'bail in'. Reference: This current financial crisis is 100x worse than the 2008 Lehman Bros debacle that led to the BushFRAUD-Nancy Pelosi ponzi 'bail out' of the crooked banking casinos that, along with the corrupt politicians running this country, have looted the U.S. Treasury. Yes, folks, "Cyprus" is coming to the United States sooner than you think. 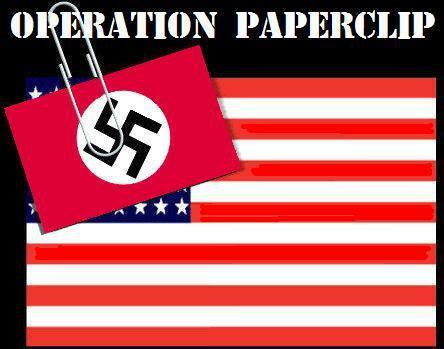 In closing, at this hour the United States has NO "Rule of Law", it is under total Nazi Paperclip NSA occupation with the U.S. Attorney General, Bush-Clinton Crime Family Syndicate's Marc Rich stooge Eric Holder and Nazi Paperclip German bloodline NSA Director James Clapper totally fingered as serial perjurers. Remember, Barack Obama is a lifelong CIA stooge who worked for CIA front company Business International Corporation in Kenya when the CIA was conducting anti Soviet operations in the 1980s. His white mother Ann Dunham conducted espionage for the CIA in Indonesia in the 1960s with Obama's mother reporting to her then 'handler' George Herbert Walker Bush.